New research into the bone structure and hunting habits of Thylacinus cynocephalus may make the “tiger” designation more appropriate than first thought, indicating the Tasmanian Tiger may have had more in common with cats than its popular nickname. In the 18th and 19th centuries, explorers in Tasmania brought back tales of a strange creature that looked like a wolf with tiger-like stripes on its haunches. That animal was the thylacine. It was a marsupial, one of several mammals that raise their young in pouches, and more closely related to kangaroos and koalas than to dogs or cats. 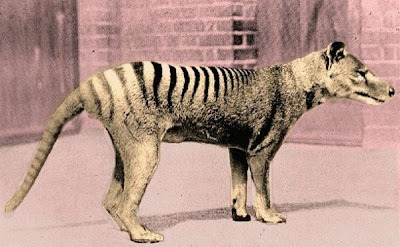 Nonetheless, the similarities stuck, and they earned the thylacine several nicknames including “marsupial wolf” and “Tasmanian tiger”. Superficially, the dog-like features are most obvious. Its species name – cynocephalus – literally means “dog head”. In fact, its skull looks so much like that of a dog that professors at Oxford University would ask students to classify it, as a trick question in their final exams. But the rest of the body tells a different story. 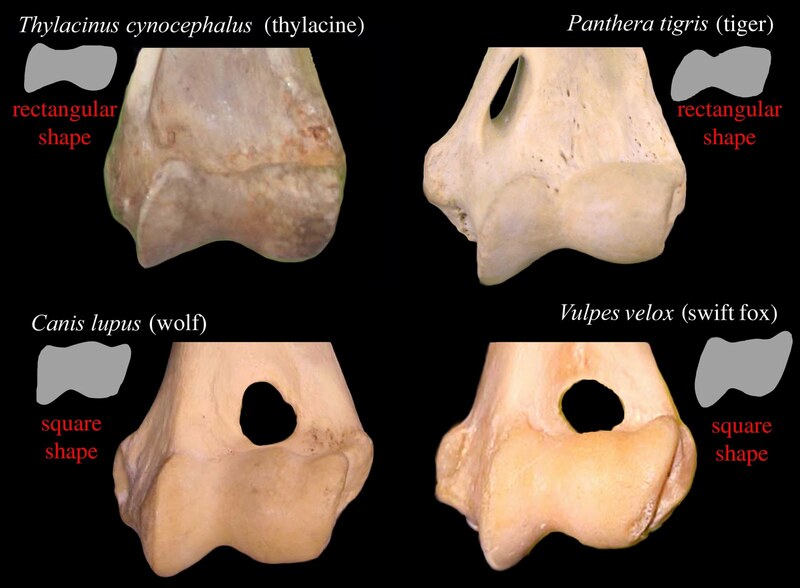 After studying the thylacine’s elbow joint, Borja Figueirido and Christine Janis from Brown University think that it ambushed its prey like a cat, rather than chasing it down like a dog. It was more Tasmanian tiger than marsupial wolf. Importantly, the researchers also hypothesised that the much-maligned dingo was the main cause of the thylacine decline in Australia, because the two species were in direct competition -- using the same hunting strategies to hunt the same prey. "Dingoes are a species of wolves, they are runners," study researcher Borja Figuerido of Brown University said. "If the thylacines are ambushers, the hypothesis of the extinction of the thylacine outcompeted by dingoes is less probable."